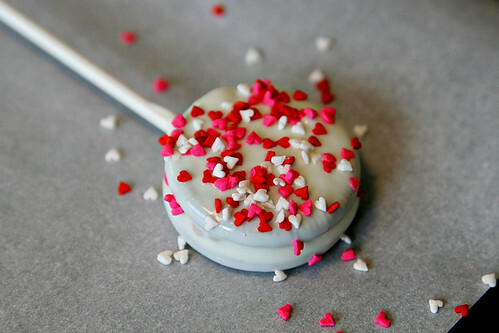 I’m apparently into smothering anything and everything in chocolate lately and putting it on a stick. 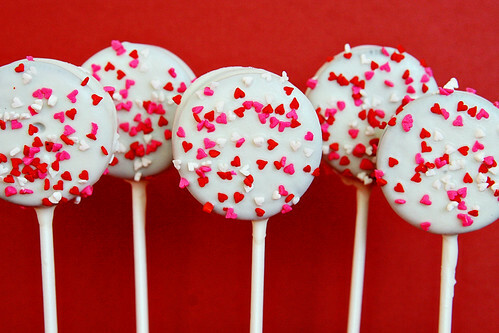 There is just something about things on a stick that make them taste better that way. Even Logan, the child who scoffs at chocolate milk and hot dogs, tried my chocolate covered Oreos on a stick. He actually took a couple bites of it before trying to feed it to one of our cats, I’d call that a success. I’m not exactly sure how my tofu loving, cucumber obsessed child comes from the same DNA as I do. 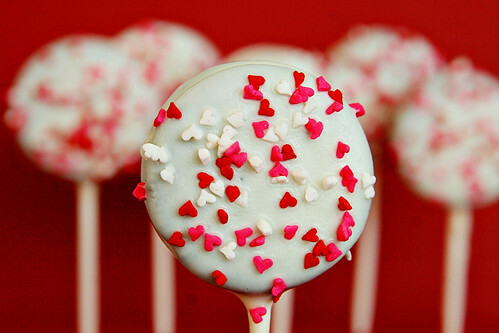 Anyway, these Oreo pops are yummy and the perfect Valentine’s Day treat, just ask our cat! Step 1: Place white chocolate chips in a microwaveable mixing bowl and melt according to package. I recommend melting in 30 second increments and mixing in between until all chips are melted. Step 2: Separate the Oreo cookies, taking 1 side off. 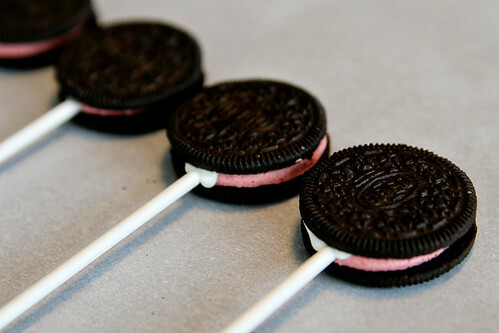 Dip the tips of the lollipop sticks into the chocolate and press into the Oreo filling, sandwiching the stick between both cookies. Allow to dry for a few minutes. 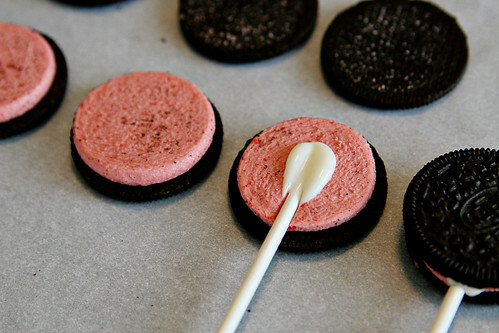 Step 3: Dip the Oreo Pops into the chocolate, gently tapping off excess chocolate. 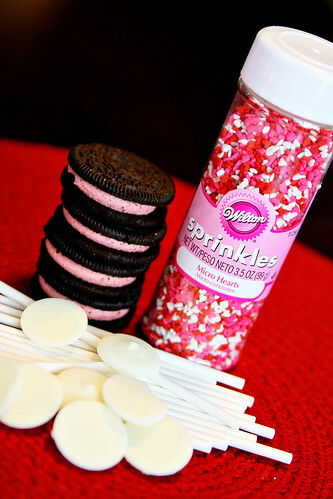 Place on parchment paper and add heart sprinkles to the top before the chocolate melts. Allow to dry. Step 4: Give to your Valentine! I’m a huge oreo fan and I’m drooling over these. Beautiful pictures too! Vanessa, those are so cute! They would make awesome Valentines too! Super post! Can’t wait to see what else you put up! Becca – Annie,I made these last week for work and everybody loved them! My habsund asked if I could make some kind of Nilla Bannana pudding cupcakes, (nilla pudding is his favorite dessert) I was thinking of using this recipe and just replacing the oreos with Nilla wafers, maybe some bannana extract in the cake and bannana pudding filling. I think that would work but I have no clue what kind of frosting to use, this cream cheese frosting or the white chocolate whipped cream from that chocolate layer cake recipe with the strawberries? What do you think? Meringue maybe?I was thinking it would have to be light but also has to stand up to storage in the fridge overnight and still look pretty for Cupcake Thursday at work.-BeccaAugust 18, 2010 5:58 pmAnnie Reply:August 18th, 2010 at 6:02 pmBecca,I don’t know, I think personally I would start with a banana cupcake base and not use this recipe. If you would like, I can play around with the concept and post when I have something that works. Let me know if you’d be interested. Heck, I may just do it anyway that sounds delicious!becca Reply:August 19th, 2010 at 4:07 amAnnie-I would like to see what you come up with! I tried it today using your vanilla bean cupcakes and mixed in chunks of nilla wafers and banana to the batter, then filled them with banana creme pudding using the cone method. I messed up the white chocolate whipped creme frosting though, it all seperated so I added a stick of butter and whipped the living daylights out of it. Overall it was a good cupcake but not a knock your socks off cupcake. Can’t wait for your take on the idea!-BeccaAnnie Reply:August 19th, 2010 at 10:06 amWill do. One thing to know is that any time you make a whipped cream frosting that separates, don’t try to salvage it. When heavy cream separates, you actually made butter but then you have all the excess liquid in the bowl. It’s best to start over. 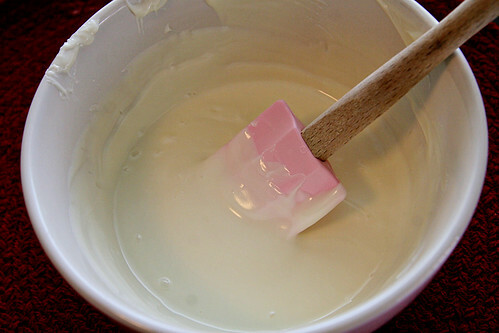 That is a tricky frosting, it is quite temperamental. Hello There. I found your blog using msn. This is an extremely well written article. 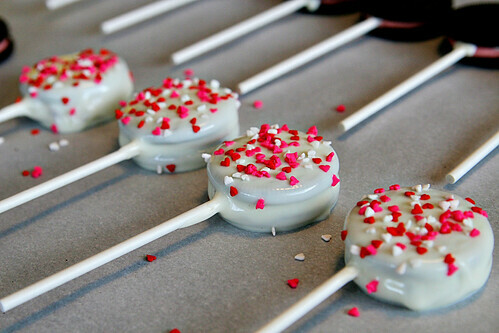 I’ll make sure to bookmark it and return to read more of (diy tutorial) valentine’s day oreo pops . Thanks for the post. I will definitely return.